Body image disturbance may occur as part of an eating disorder, as Body Dysmorphic Disorder (a preoccupation with an imagined defect in our appearance), or�as a result of living in a society that perpetuates the notion that we all need to be thin to be healthy. 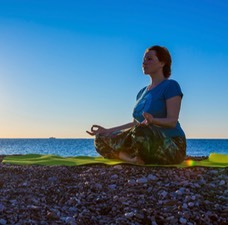 � Negative body image becomes a serious issue when our bodies become the focus of negative attention on a daily or even hourly basis, and impacts our ability to function normally in our daily life. Negative body distortion means we begin to see our bodies in distorted and unrealistic ways. �We may think we are fatter or thinner than we really are, or have obsessive negative thoughts about the size or look of specific body parts. �We may become so self-conscious about our body that we begin staying home more, fearing what others think and say about us, resulting in less and less social involvement and more and more isolation. 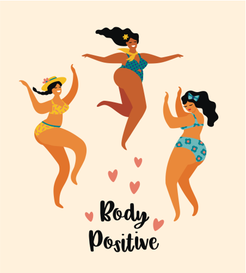 Creating a more positive body image is a process of healing that involves being at peace with your body and developing a healthy lifestyle that allows you to focus on creating positive relationships with yourself and others, and doing the things in your life that bring you pleasure and joy. ��For further information click here to email me.